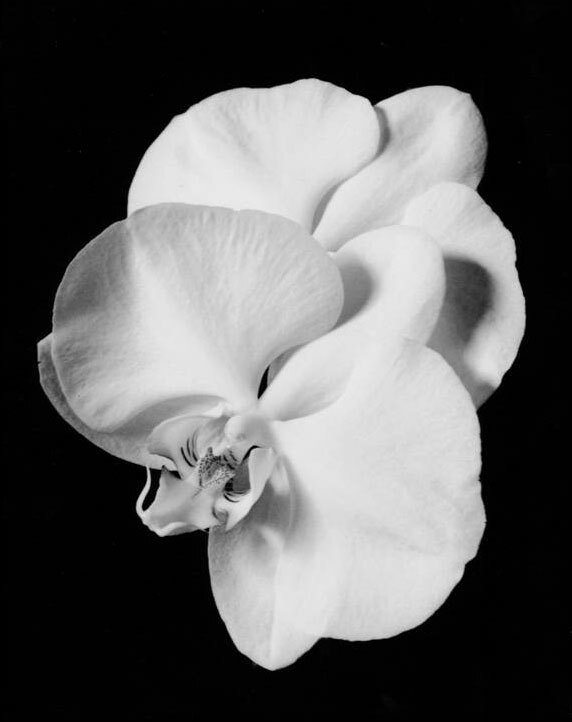 When I exposed this negative, I was primarily interested in the shape of the flower. The petals have a billowy shape that evokes in my mind images of cumulus clouds. The actual flower is only an inch or two tall, which was too small for me to be fully aware of the delicate texture of the white petals. It was not until I made a much bigger enlargement that I became aware that this photograph is as much or more about texture than about shape. For this reason, I never make print of this photograph smaller that about 8 x 10 inches. I believe small photographs lose the feeling of texture.